Description SE trim. FUEL EFFICIENT 35 MPG Hwy/24 MPG City! CARFAX 1-Owner. 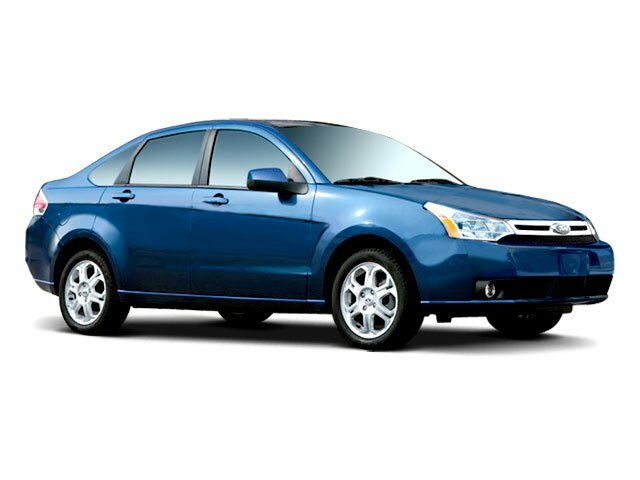 Kelley Blue Book Top 10 Coolest New Car Under $18,000, iPod/MP3 Input, CD Player, Satellite Radio, 2.0L DOHC 16-VALVE I4 DURATEC ENGINE, Alloy Wheels, "Inside the Ford Focus is an aesthetically pleasing cockpit." -newCarTestDrive.com. 4 Star Driver Front Crash Rating. CLICK ME! More Trunk Volume than Mazda3, Mitsubishi Lancer, Nissan Sentra and Subaru Impreza. With over 13 cubic feet of Trunk Volume, the Focus will hold 4 carry-on suitcases. Kelley Blue Book Top 10 Coolest New Car Under $18,000. Great Gas Mileage: 35 MPG Hwy.